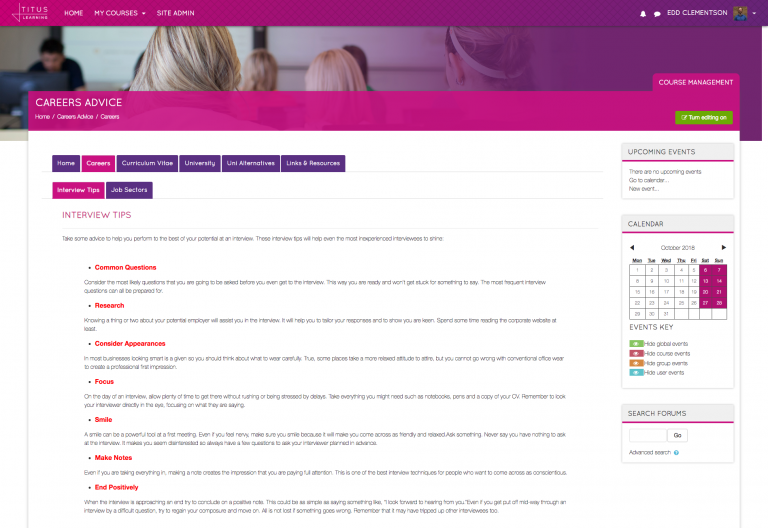 Careers Video – Introduction to careers advice and forward thinking. Interview Tips – Tips for interviews and list of job sectors to give ideas. 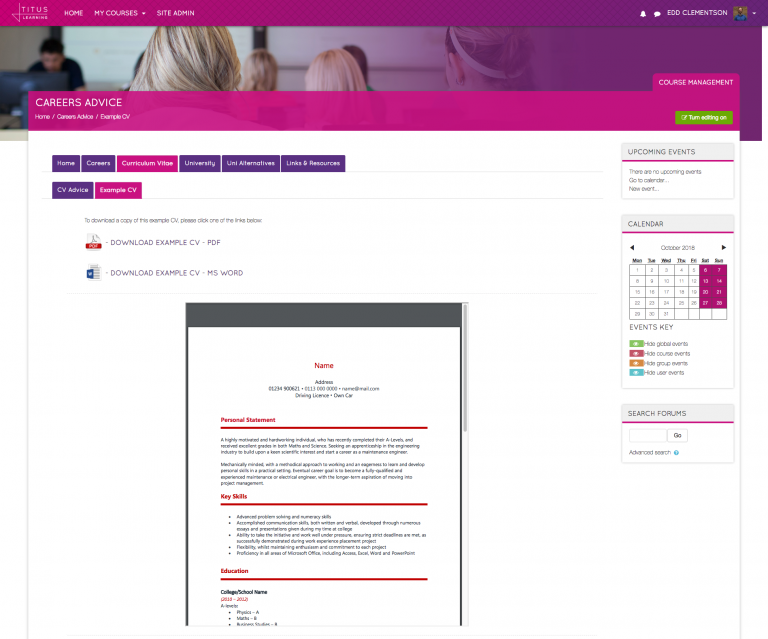 CV Advice/Example CV – Advice on writing a CV along with an example template that can be used. 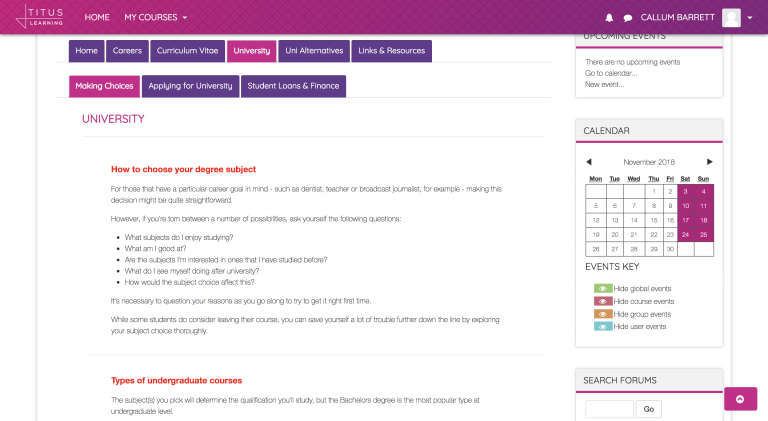 University Guidance – Information on applying for university, student finance, university alternatives and more. 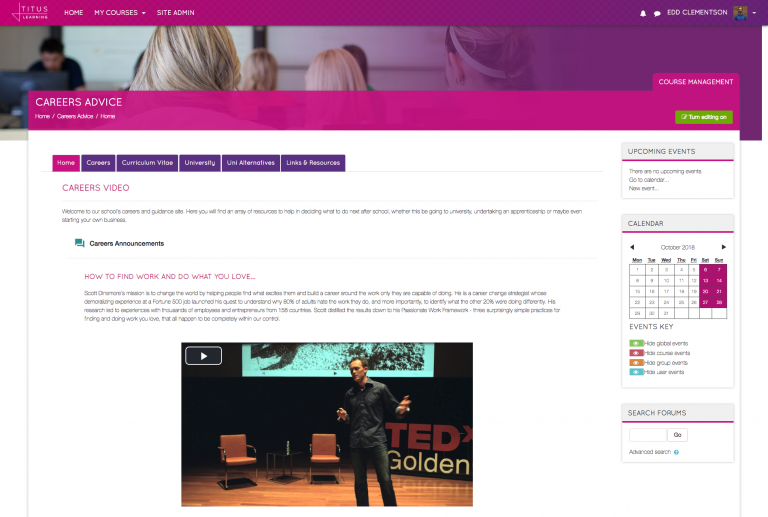 Links & Resources – An area for useful links to be added and resources to be uploaded for students. If you would like to download the template, the link below will take you to our Titus Community site. From there you will see a number of course templates to download. 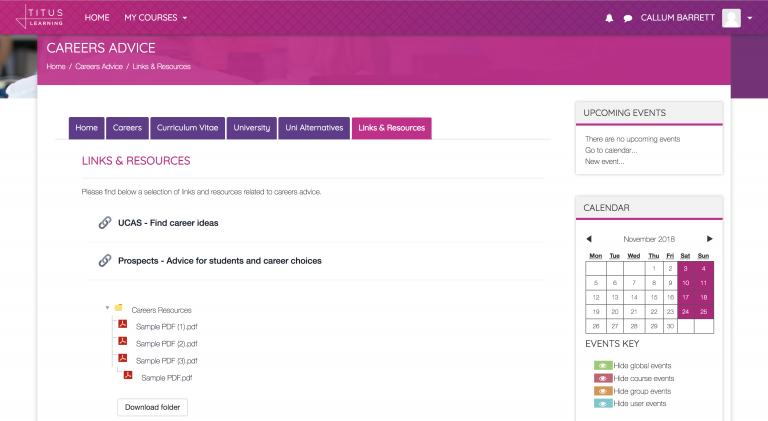 If you click “Download: Careers Advice – 08-10-18” the template will automatically download.